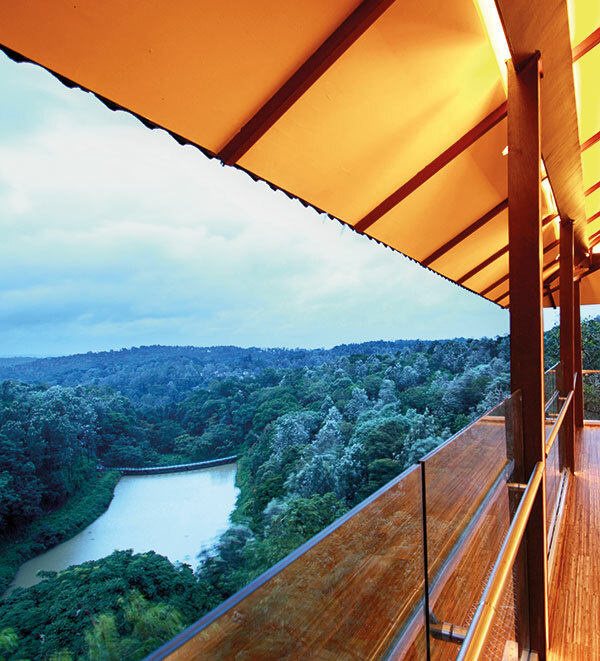 Imagine spending a blissful holiday in the lap of nature, embraced by its expansive bounty and yet enveloped in all the comfort and conveniences that luxury offers. 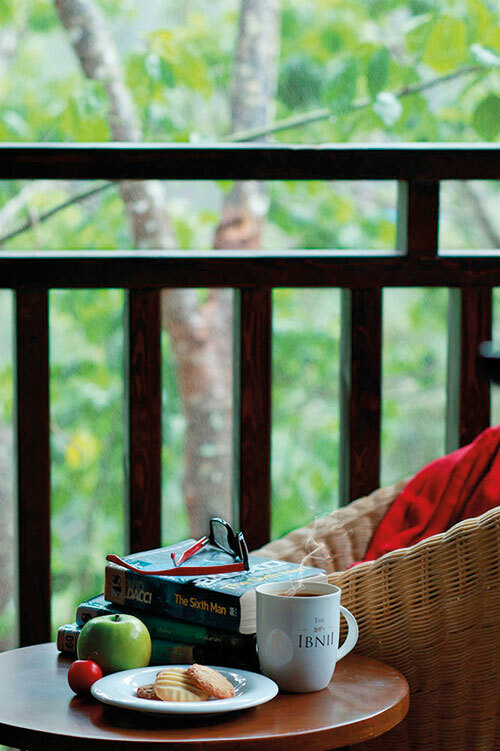 On a recent visit to Coorg, I discover a beautiful, green oasis that provides me with a soothing cocoon from the bustle of everyday urban living. 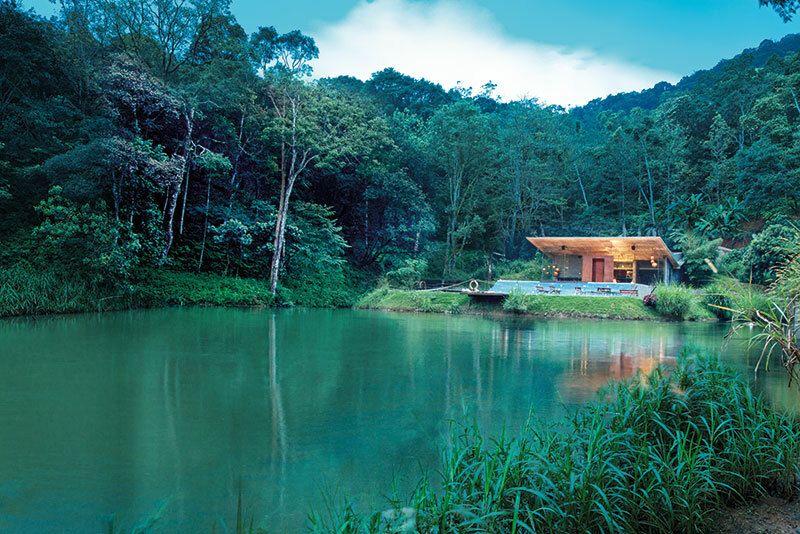 I drive out from Bengaluru to the region known for its coffee plantations, to spend a weekend at the Ibnii resort and spa. Even though Wi-Fi is freely available, I discover that I do not desire to log in and time passes easily in a relaxed manner. Upon entering the reception area, called Kaadu, we are served piping hot chukku kaapi, a delicious healthy version of the South Indian filter coffee made with dry ginger, pepper and palm sugar. After our journey, it proves to be an extremely refreshing brew. As I sip on its wholesome flavour, I realise that I am drawn to the sense of peace and calm — the silence is only occasionally broken by the chirping of crickets. We reach post sunset, so I have to bide my time till the morning to experience the view. When I wake up, I happily cast my eye over the stretch outside my window. The resort is spread over 120 acres of terrain. And, since I am up early, I take a stroll outside my cottage. I can spot the morning dew (which is what ibnii means in the local Kodava language) sprinkled on the coffee plants that surround the pathway to my cottage. The villas and cottages are positioned sufficiently apart to ensure privacy. Since room service is not offered here, I find myself relatively undisturbed. Arnetta, the wooden cottages, are poised on the landscape over the flowing lake and can inspire the inner yogi in you to do a few surya namaskars or just catch up on your latest book. They are designed to look and feel like tree houses, with all modern amenities; you can even share a cup of coffee with the friendly birds on the balcony before heading out to Fig, the eatery, for breakfast. On reaching the multicuisine restaurant to assuage my pangs of hunger, I dive straight into the lavish spread that includes a variety of local food made with produce grown in-house. I try their spinach and pumpkin bread and kiwi and grape jam — before I turn to the usual breakfast staples. Post breakfast, we head for a tour of the resort. Riding on golf cart, we first head to the yoga centre where a guest can sign up for an hourly session every morning. I do so for the two days that I am here. Ibnii is on its way to produce all the food that they serve and I do get a small glimpse of it when I am whisked to their greenhouse where they grow peas, French beans and brinjals for now. They have plans to expand their produce in the coming months as they want to implement the farm-to-table concept in their restaurants. Awaiting me at Baalelle, the only vegetarian restaurant, is a thali with 13 dishes. It is an elaborate affair of local vegetables served with the local akki otti (rice flatbread) and crispy fried bitter gourd — and I take my time savouring each element on the plate. This meal calls for a much required siesta, after which I head out to the coffee shop situated in the middle of the lush green Coorgi hills and a tadpole-filled pond. After a tour informs me about the journey from beans to the cup of joy, I find myself sipping on a robust cup of black coffee. The next day, I am driven to the nearby monastery. Coorg has a large Tibetan settlement, which includes a centre for advanced learning. I make a trip to the local market to pick up all the spices for the kitchen at home — the mother’s orders. I then head for my spa appointment at Manja (which literally means ‘turmeric’ in the local vernacular). I surrender myself to the gentle kneading of the rejuvenating Swedish deep tissue massage that is geared towards reducing the tightness in my muscles. All the pent-up stress of urban living released under the expertise of the masseuse, who informs me that the therapeutic oils are sourced locally. On the last night, I dine at Masi Kande, where I enjoy a live barbecue spread under the starry night sky. I fill and refill my platter with well-marinated chicken, prawn, pineapple, corn on the cob and more. I stroll back leisurely to the villa before I hit the pillow — and next morning it is time for me to bid adieu to the place and people, who have made me feel so warm and welcomed.